DESPITE claims that he’s still undecided, Gov. Paterson is “certain” to pick Caroline Kennedy to replace Hillary Rodham Clinton in the US Senate, several unhappy contenders for the job have told friends and associates in recent days. The contenders based their conclusion on the view that Paterson, after nearly two months of indecision, would “greatly embarrass” and “entirely humiliate” Kennedy, anger her prominent political family and even offend President-elect Barack Obama by picking someone other than President John F. Kennedy’s daughter. Some of the contenders warned, however, that the unelected Paterson, who must face the voters next year, could face a serious backlash from Democratic activists by choosing Kennedy, whose standing with the public, and with Democrats in particular, has been sliding in recent weeks. US Rep. Carolyn Maloney of Manhattan, a would-be Clinton replacement who is backed by several women’s organizations, was the most publicly adamant in saying the fix was in, citing a scenario – first outlined in last week’s Village Voice – under which Paterson, in a deal with Mayor Bloomberg, a Kennedy friend, selects Kennedy in exchange for help for his own election bid next year. Another potential candidate told The Post that he was convinced that Kennedy would get the job because Attorney General Andrew Cuomo, – who polls show is the public’s favorite to succeed Clinton – failed to line up the right replacement at the AG’s office. “Andrew just couldn’t assure the governor that he could arrange for [Assembly Speaker Sheldon] Silver to provide an acceptable successor,” said the contender. “It’s been a done deal from the start,” said the would-be candidate. Caroline Kennedy was the early favorite, but a poll finds that New York voters now want Atty. Gen. Cuomo to take over Hillary Clinton’s seat. New York Atty. Gen. Andrew Cuomo, the son of a former governor, is preferred by New Yorkers over Caroline Kennedy, the daughter of a former president, to be the next U.S. senator from the state, according to a poll released this morning. Cuomo leads Kennedy 31% to 24%, according to the Quinnipiac University poll. The pair are among at least five candidates seeking appointment to the seat being vacated by Hillary Rodham Clinton, nominated to become U.S. secretary of State. 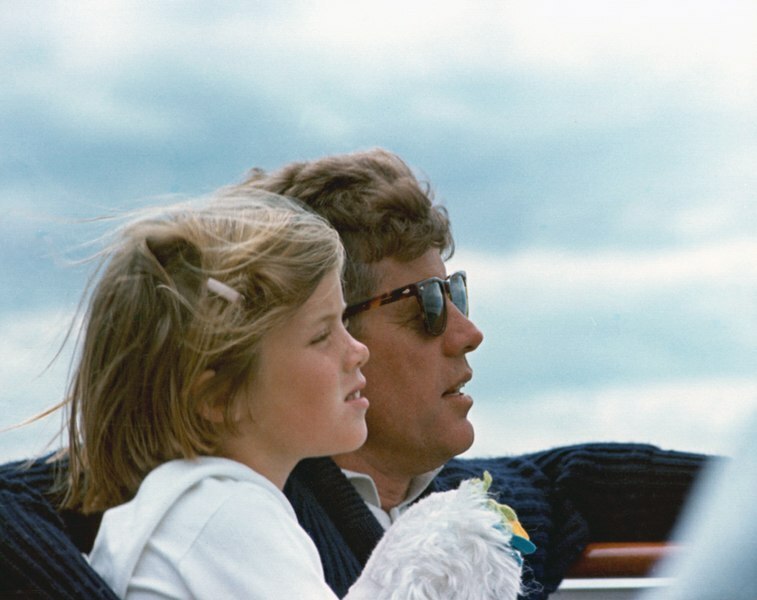 You are currently browsing the archives for the Caroline Kennedy category.